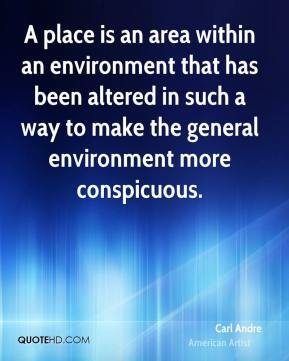 A place is an area within an environment that has been altered in such a way to make the general environment more conspicuous. Every time you work, you have to do it all over again, to rid yourself of this dross. 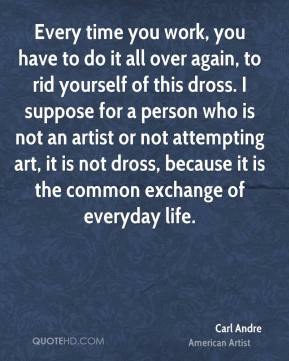 I suppose for a person who is not an artist or not attempting art, it is not dross, because it is the common exchange of everyday life. I mean, art for art's sake is ridiculous. 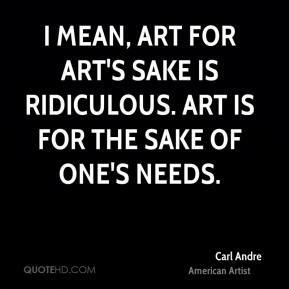 Art is for the sake of one's needs. 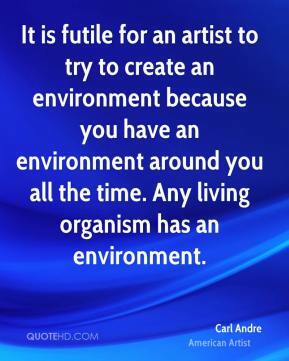 It is futile for an artist to try to create an environment because you have an environment around you all the time. Any living organism has an environment. 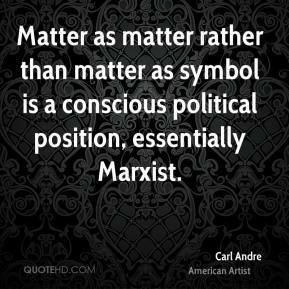 Matter as matter rather than matter as symbol is a conscious political position, essentially Marxist. 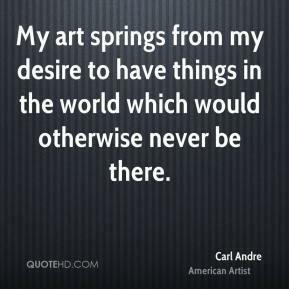 My art springs from my desire to have things in the world which would otherwise never be there. 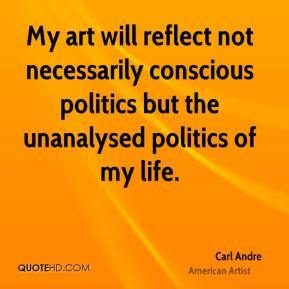 My art will reflect not necessarily conscious politics but the unanalysed politics of my life.